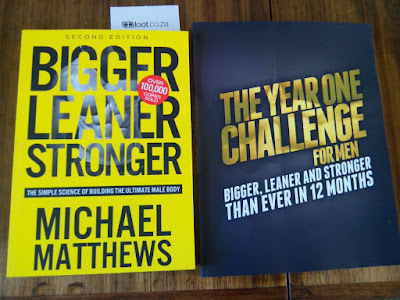 I first heard about Michael Matthews in August last year, when I found his audio book "Bigger Leaner Stronger" on Audible. Even though I had been going to the gym for a year already, I wasn't ready to try his 5-day-a-week program. I simply wasn't fit or strong enough. In January 2015 I increased my workouts from one day a week to two days a week (Friday and Monday) instead of just a single day, and made some progress. I could now perform the Bench Press, Deadlift and Squat exercises (mostly) correctly, and lift approximately 50% of my body weight of 82kg. 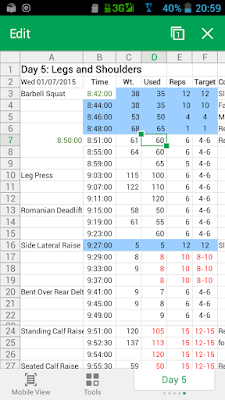 For me this was great progress, since I have always been of way below average strength. I'm 54. My personal trainer at the gym was hard pressed to figure out ways of teaching me these basic exercises from such a weak start. But we persisted and after 18 months I could start recording "personal best" weights that were approaching my body weight. Seated Military Press 100% of body weight for 4-6 reps. Ambitious goals for sure, but realistic ones that I can attain in a few years. 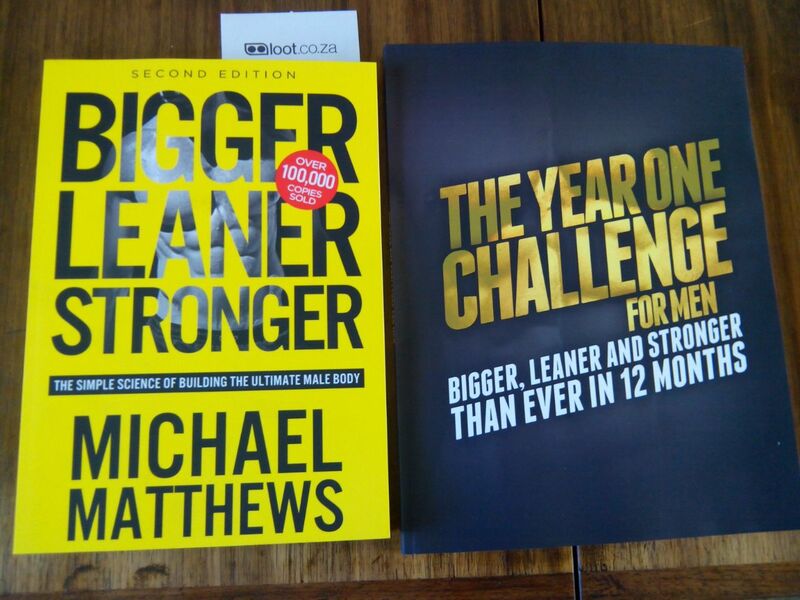 When the Second Edition of "Bigger Leaner Stronger" came out, I ordered the print versions of both the BLS book and the companion workout diary, "The Year One Challenge for Men". They arrived at the end of April this year. During May and June I worked through all the new exercises with my personal trainer, and decided to aim to work out every Friday, Saturday, Sunday and Monday. That makes 4 days for a 5 day program, meaning that every Friday I would be able to do a different workout under the supervision of my personal trainer. I can't afford a trainer more than one day a week. Next I realized that my normal note-taking procedure when working out wasn't going to be good enough for the BLS program. So I used my HiSense Android smart phone's software that can edit Excel files on DropBox, called WPS Office. I have created a spreadsheet for the first phase of the program. it lists each exercise for each day, and uses the weight and reps used to recommend what the next week's weight should be, based on the calculated one-rep max from the previous week. Shown here is a screen shot from my phone for day 5. The sets in blue are warm-up sets, with the target weight in the third column, and the actual weight used in the 4th column. The actual reps are in the next column, next to the target reps. So while you are working out you only need to record the weight and reps performed. From that it will use the standard Epley Formula for a one-rep maximum to calculate the target weights for warm-ups and sets for the following week, based on Mike's recommendation of doing working sets in the 80-85% range. In this way you always make progress and know what your next target is. The next challenge came when I actually tried to do the exercises. In spite of being used to doing much more than 3 sets on the "big 4" exercises, I found it difficult to jump by a full 5kg when doing Seated Military Press and some of the other exercises. The smallest weight in my gym is 2.5kg, so a barbell can only go from, say 30kg to 35kg. Not a problem for Squats and Deadlifts, but definitely a challenge for Seated Military Press. Without a spotter I just can't manage, and a spotter isn't always available at my gym. The solution is simple. They are called "fractional weights" and I found a local supplier who could sell me four 1kg plates that fit on the Olympic size barbell I use at the gym. I already had two plates that weigh 0.5kg, so now I can choose any 1kg increment between 30 and 35 kg and not stress about whether I am about to injure myself with an increase that is "too big". If the target weight is 32kg, I have no excuse: I can either lift it or I can't, but I can't blame the gym for not having a 32kg barbell. So far I have found the first phase of the One Year Challenge tough. Each individual day isn't too bad, but the cumulative effect is pretty hectic. On top of that I have been plagued by a bad cold (it is winter in SA) and an abscess that required 2 days in hospital. So I am only finishing week 2, even though I have done week 1 several times as I learn the exercises. I will be glad when all these interruptions can go away. Update Friday 3rd July 2015: I have posted a more detailed explanation of the Year One Challenge on my Fact-Reviews website, which includes a download link to the Excel spreadsheet I use, and instructions on how to use it. Update Tuesday 7th July 2015: Finally made it back to the gym, so we are on track again. I also discovered that the audiobook of Bigger Leaner Stronger has been updated to the second edition, which is now almost 11 hours of useful information. Hi! Do you have a copy of your workbook you'd be willing to share? My workbook is in use and is dog-eared and has writing in it. Tour best bet is to download the spreadsheets at http://www.fact-reviews.com/bls and print them out.